Cole Photography Named Best New Program in the State! Recently, Cole Photography students traveled to Austin to the Association of Texas Photography Instructors Winter Conference where they competed against hundreds of students from schools across the state. The Cole Photography Program was named the Rising Star of Texas Photography Program - the top new program in the state. They won 1st place for their Photo Journalism Portfolio, 1st place for their Nature portfolio, and 2nd place for their Portrait portfolio. In conference contests, Stephanie Rhodes won 1st place in the prestigious Cropped contest for the 2nd year in a row . Sarah Haftorson won 1st place in the digital editing contest for the 2nd year in a row and a Superior award for her Environmental Self Portrait and an Excellent for a second Environmental Self Portrait. Matthew Craig won 2nd place in Picture Package, and a Superior award for his Environmental Self Portrait. 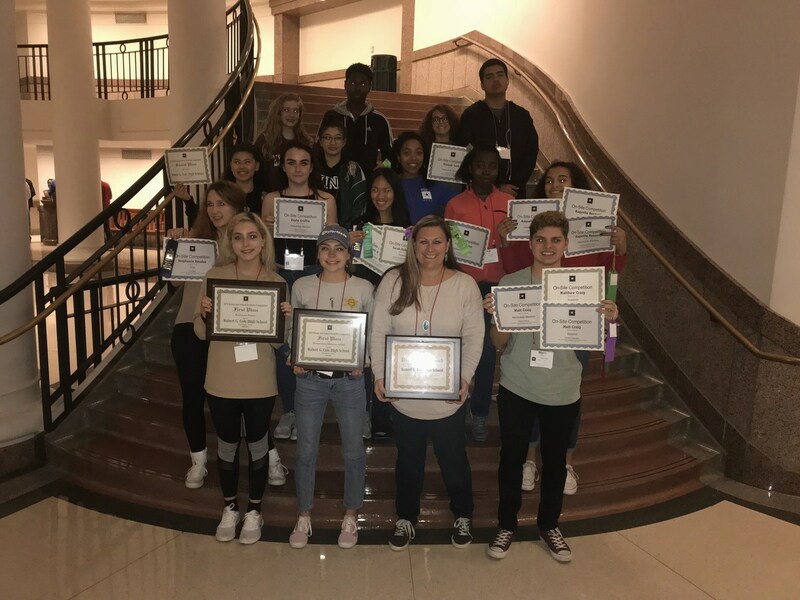 Raquelle Bennet won 2 Honorable Mentions and Hannah Cook won one Honorable Mention for their work in the Digital Image Contest, and the team of Raquelle Bennett, Hannah Cook, Kayte Griffin, and Micah Pierce received an Honorable Mention for their School Portfolio - Color. These students represented Cole with outstanding technical and creative work, and are building a tradition of excellence in te growing photography program.